Based in Agawam, Massachusetts our volunteers, board members, and staff, are dedicated to spreading mental health awareness and various support and educational programs across Franklin, Hampshire, and Hampden Counties. Our office, located at 324A Springfield Street, serves as a resource center for those affected by mental health issues and their family and friends. Please stop by and visit with our staff and volunteers to discuss how we can help you or those you love. As one of twenty-one NAMI affiliates in Massachusetts, we maintain a resource library, literature on various mental illnesses, and treatment options. We welcome you to browse our website for events in the area, up to date legislative and news information, area resources and more. our "Open Your Mind" brochure. their very generous sponsorship donations. 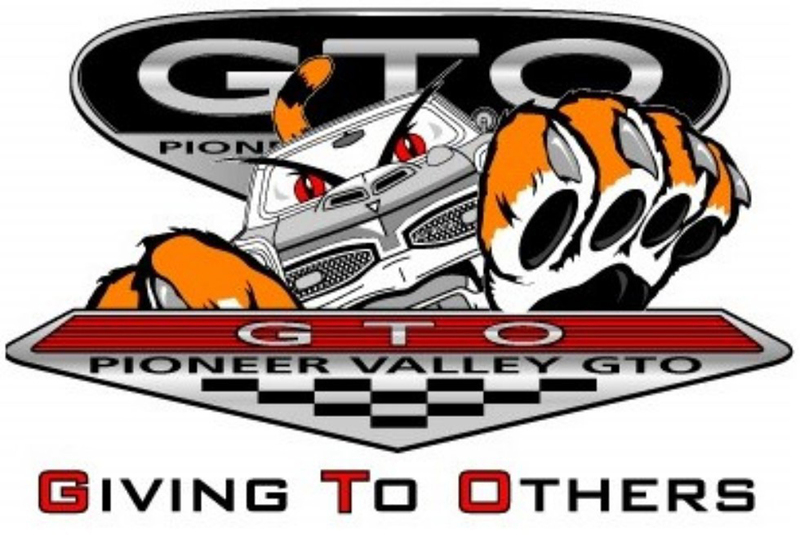 Please support our sponsors by visiting their websites. Please click on the logos below for more information. Are you living with mental illness and looking for support from others who have lived experience with mental illness and recovery? 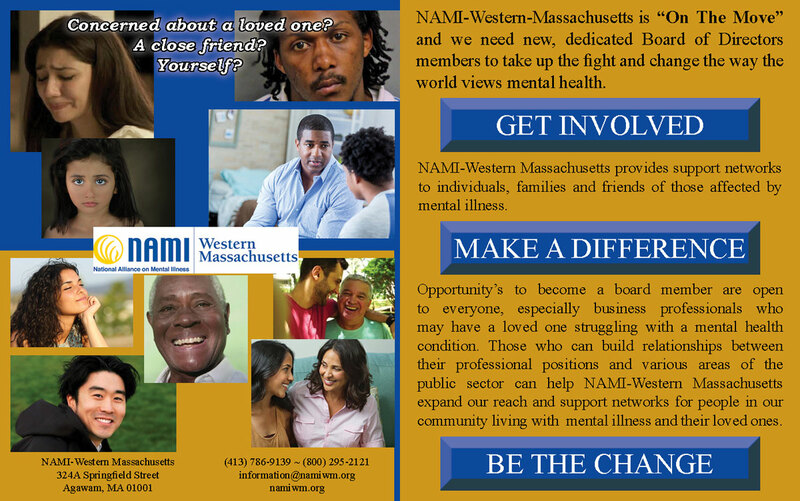 NAMI-Western Massachusetts offers FREE Peer support groups in Agawam, Easthampton and Palmer. Our groups are not therapy groups; they offer a casual and relaxed approach to sharing the challenges and successes of coping with mental illness. Individuals with any mental illness are welcome. Our support groups are run by trained NAMI Connection facilitators who are in recovery themselves and use the guidelines of our successful national program. For schedules and more information, please call our office at (413) 786-9139, email us at information@namiwm.org or visit our support page for more information. We are thrilled to announce that in 2011, NAMI was included in a select list of charities that meet the Better Business Bureau’s “Wise Giving Alliance” standards and was featured with other charities in a full-page ad in USA Today. Along with our recent upgrade to a four-star rating (the highest score) from Charity Navigator, this is a wonderful testament to our efforts to be good stewards of donors’ dollars. National Registry of Evidence-based Programs and Practices (NREPP). NAMI Family to Family Intervention Summary. Welcome to NAMI's discussion groups. Here you can find support, share knowledge, ask questions and interact with people who have had similar experiences. Copyright © 2019. National Alliance on Mental Illness - Western Massachusetts, Inc. Website by Web-tactics, inc.